To get a restaurant successfull in a village is a challenge: everything must be perfect at an attractive price to make people coming from the surroundings. 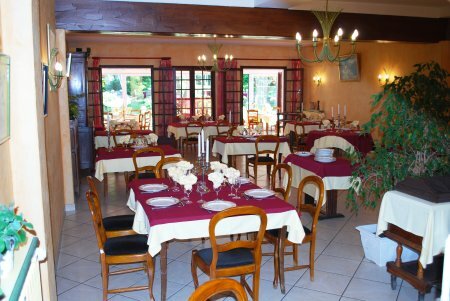 So has it been for decades at the Auberge des Pecheurs at Port-Mort, half way between Les Andelys and Giverny. Monet's gardens are at a 20 minute drive away. 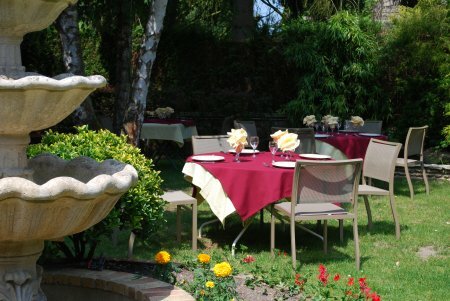 Located in the heart of a quaint village of the Seine Valley, the restaurant opens on to a lovely garden where meals are served in summertime. If the sun is too intermittent, two dining rooms and a veranda are also at the guests' disposal. To do justice to its name, the Fishermen's Inn offers a large choice of delicious fish. 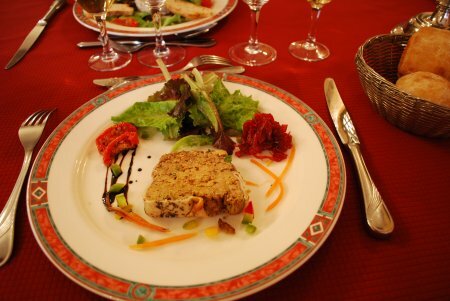 It is also the right place to taste classical dishes of french cuisine like - according to season - veal head in gribiche sauce, sautéed veal softbread in foie gras sauce, and the famous frog legs and snails. 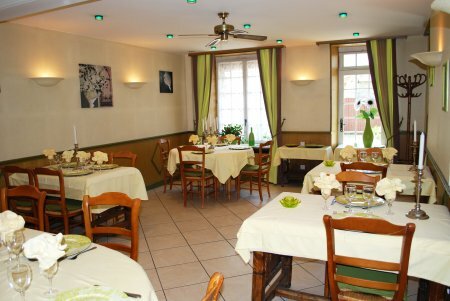 To pay a tribute to Normandy country cooking, you will enjoy cheese, crêpe with caramelised apples or apple douillon. All the dishes are home-made with very fresh products. The menus vary according to season. Large wine selection. Large dining room opening on to the veranda In 2012 menus range from 35.50 euros, 25,50 euros (on weekdays and on saturdays at lunch time only), 16 euros (on weekdays only). 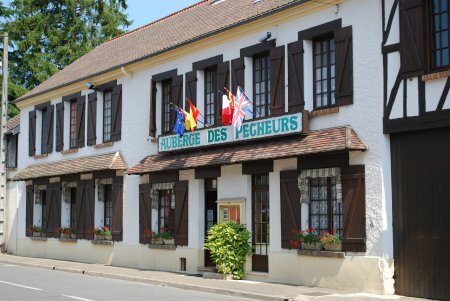 The Auberge des Pecheurs will give a warm welcome to groups up to 100 people. Quote on request.